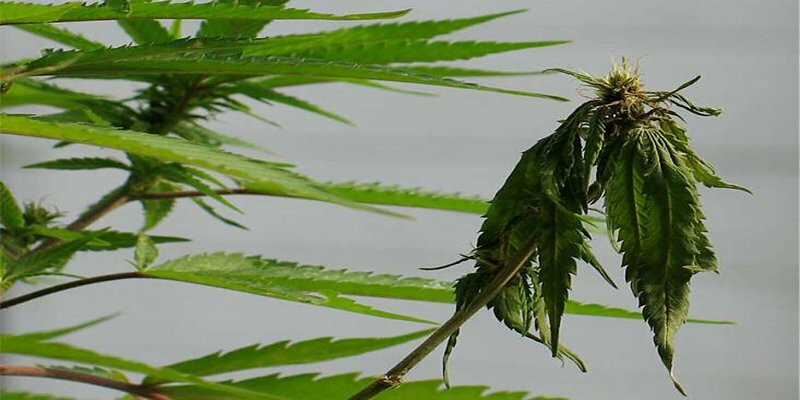 Stop Fusarium On Marijuana Plants Now! Fusarium is a type of fungi that specifically targets the leaves and roots of the marijuana plants. Dormant in warm, tropical soil, it can wait for years for the perfect time to hit the crop. Hence, it can be present anywhere in the garden. In addition, it is often spread by running water and garden tools. For many soil growers, fusarium poses an immense threat when activated as it causes wilting or root rot depending on the strain of weed. The worst thing is that once the infestation starts, it can be extremely hard to treat affected plants. For many growers, dealing with it can be very tricky. Since fusarium dwells and thrives only in soil, growing hydroponically is a good option to avoid it. However, this setup might not be viable for many growers. Fortunately, there are steps we can take to ensure that the fungi don’t touch our soil-grown crop. Hence, this article will teach the skills to prevent it from causing harm in the first place. This includes being able to spot it as soon as the first sign of infection shows. For the most part, ensuring a fusarium-free weed garden means working hard to make the environment less welcoming to the fungi. So, read on to start learning how to stop fusarium from ruining the chance to get a decent harvest. Fusarium is one of the hardest problems in the marijuana garden to fix. But once we learn the basics, we can do something to stop it. Here are some surefire ways to dealing with this soil fungi. As mentioned, it’s hard to save the plants once fusarium strikes. While there are some things we can do to minimize the damage, it makes more sense to simply throw away the affected plants and start anew. Hence, the top priority when dealing with it is prevention. In this section, we will learn the steps to do this. The best way to beat pests and diseases is to buy the best marijuana seed we can afford. As such, good seeds usually have strong genetics that makes it harder for the fungi to creep up from the roots. So, always get seeds from a reputable source. Since Fusarium thrives in soil, protect marijuana plants by starting with a fusarium-free medium. This includes using natural fungicides from preparations of nettle and horsetail. We can also use compost or compost tea to increase the beneficial bacteria that remove bad fungi. To nourish the soil, add bacterial food like molasses to support the good bacteria within the soil. If clay soil is available, use it to increase the pH of the medium which lowers the number of the fungi. Loamy soils are also helpful since they might be housing microbes that fight off fusarium. Planting other healthy plants together with the cannabis also improves the quality of the soil and help control the problem. To further ensure the safety of the soil, use containers instead of planting directly on the ground. This limits the area of infection which makes it easier to limit the spread of infection. As with any fungi, fusarium develops in moist and warm environments. So, we have a better chance of preventing its growth if we can manually adjust the humidity and temperature. And the best way to do this is to grow the plants indoors where we can monitor and modify many variables. In this type of setup, growers can pay close attention to the humidity levels by using a hygrometer. If the reading is too high, which sometimes happens, use dehumidifiers to restore it to the correct levels. Since plants require less moisture over time, make sure to monitor the grow room regularly. Diseases are often spread from one place to another by using garden tools that have come in contact with the fungi. So, make sure to clean and sterilize this equipment as well as the gardening gloves and the watering hose. When it comes to stopping fusarium, we need to cover all the bases. Aside from cutting out the oxygen supply in the roots, overwatering also promotes the growth of any fungi. So, learn the correct ways to water the plants to avoid these common problems. Monitoring the status of the marijuana plants is a big part of taking care of them. Without it, we won’t be able to know if our plants are suffering from a Fusarium infestation. But what does an infected plant look like? As mentioned, the two main symptoms are wilting and root rot depending on the type of the weed. A fusarium attack will quickly wilt the leaves, changing it from vibrant green to yellow and brown. But the sure sign of a Fusarium wilt is when the tips curl upwards while the leaves look as though they may drop off but actually won’t’. It’s a little bit harder to detect the initial signs of a fusarium root rot which is when the roots turn reddish. Obviously, we can’t see this as the roots are buried underground. But the fungus is already working to block water and nutrients from getting into the plant. As the symptom worsens, it starts to move up fast into the stems and rot them as well. As a result, the plant will collapse and die. While it may be futile to treat infected plants, we can try to save the healthy ones if we move fast. In general, it’s way easier and safer to just start again. So, here’s how to do it. It’s important to remove the affected plants right away as soon as we notice the symptoms. If we don’t do this, it will decompose and serve as a breeding ground for the fungi. As a result, any plant that will grow in the same soil will also be devastated. After getting rid of the infected plant, apply hydrogen peroxide to the soil to disinfect it. This will also add oxygen to the soil which will improve its quality. To use, add 20cc of hydrogen peroxide per liter of water to achieve these desired effects. As mentioned, it’s hard to save the plants once fusarium strikes. While there are some things we can do to minimize the damage, it makes more sense to simply throw away the affected plants and start again. This is to ensure that we don’t smoke infected buds as they can be harmful to our health. To begin planting, pick a location that is as far away from the infested site as possible. Indoors, we can achieve the same effect by cleaning the grow space and using a different soil. Prevention is key when it comes to dealing with Fusarium in the marijuana garden. As such, it’s best to grow indoors and provide only enough water and use the correct intensity of light. This will create an environment that is not friendly to the fungi. But when we do notice the problem, it’s best to simply throw away the plant and start all over again. This will reduce the spread of Fusarium infection and ensure that we only get healthy buds. How did you use the thyme oil? Has cure for fusarium or you need cut all the plants? I have it on the trunk of some of my smaller, but best looking budding plants. Wondering if it's safe to smoke? Help! My outdoor starting to flower plants leaf edges are curling and all new growth and flowers are brown. I can't figure out what is wrong. Can anyone help? Any instances of fusarium in hydroponic production? Drip or DWC? This article claims no fusarium outside soil-based cultivation, however I have first hand experience with plant pathology tests proving otherwise. MYCOREMEDIATION ?. Any feedback. on rectifying outdoor soil.